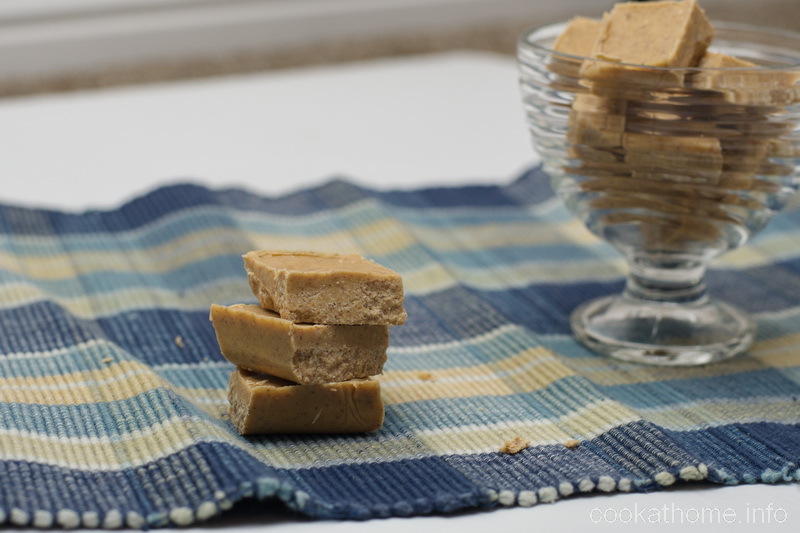 A simple peanut butter fudge recipe that can be adjusted with other add-ins as you please! 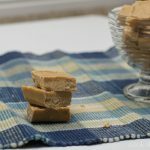 While my easiest fudge recipe is here, Grant commented one time when I made a batch that it tasted a lot like just chocolate and condensed milk (which is exactly what it is!). So I set out to find some other fudge recipes, and came across this one. Really easy to make, only 4 ingredients. I think I came across it at sallysbakingaddiction.com originally, but each time I’ve made it, I’ve had great success. These are so addictive – just ask the people I recently made this for – the whole batch disappeared in less than 2 hours! And if you’re not into peanut butter, this works really well with any other type of nut or seed butter! So remember to cut it into really small pieces – portion control and everything!! Melt together the peanut butter and butter, either on the stovetop or in the microwave. Mix in the vanilla and icing sugar until well combined. Spread into prepared pan and chill in the refrigerator for at least 1 hour. Cut into 16 pieces with a sharp knife.